When you’re rebuilding that barn find, what you are really doing is recycling. Bikes that may have been destined for the scrap heap are given new leases of life by those who can see beyond the rust and years of decay. 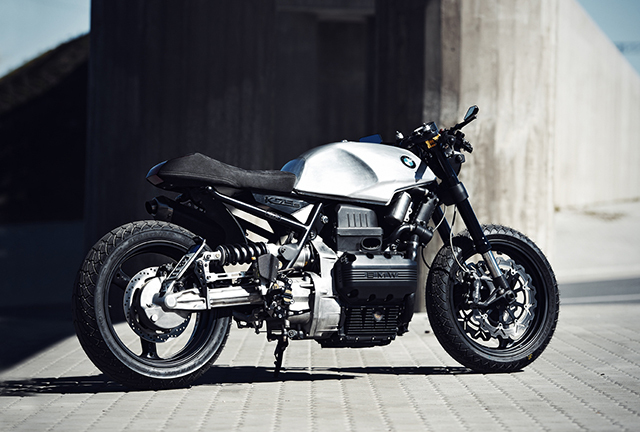 One of the prime examples is this BMW K75, a rarely modified machine of which this is the first example to grace the pages of Pipeburn. This particular K75 sat for ten years in a barn in Germany – waiting patiently for someone to give it some love. Eventually Andres and the guys from Estonia’s Renard Speed Shop came to the rescue. The builders themself weren’t sure at first if the bike would be “interesting enough to build”, but we’re glad they changed their minds. Bent slightly in an accident a decade ago, the bike was parked up in a German barn until recently, when it was rescued and brought to the Renard workshop in the north of Estonia. The bike was in a sad state on arrival, nursing bent forks and a dented tank. Once stripped down, an idea of the damage could be gauged, and the direction of the build ascertained. And what a direction it has taken. 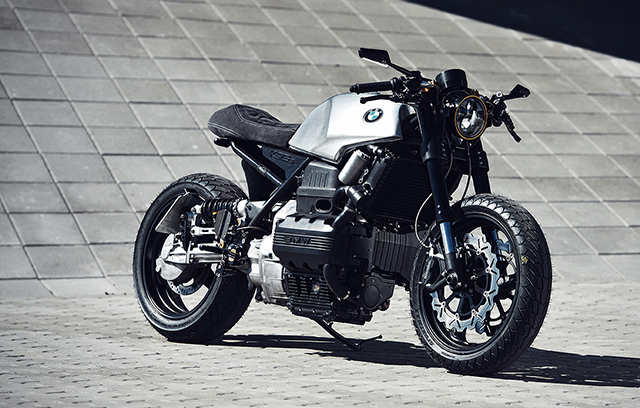 With the designer deeming the engine to be adequate for the task, the modifications carried out on the bike have been carried out with aesthetics and handling in mind. The gas axe was taken to the frame, and stance of the bike improved out of sight. 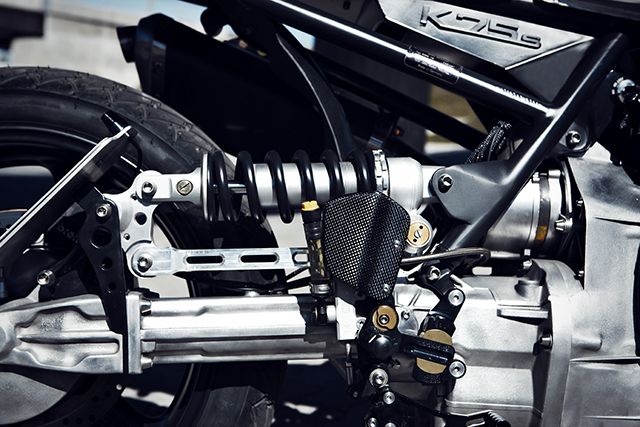 The rear suspension now sports an adjustable monoshock setup that lies parallel to the swingarm. “Visually, it’s very attractive and functional at the same time” says Andres. The rolling stock has been upsized, with 17 inch wheels now fitted and wider tires helping with grip. The bent forks had to go, and in their place sit a set of upside down forks, mounted up with radial callipers. The Beemer has ditched it’s factory clutch & brake master cylinder, and is now packing ISR sourced units. 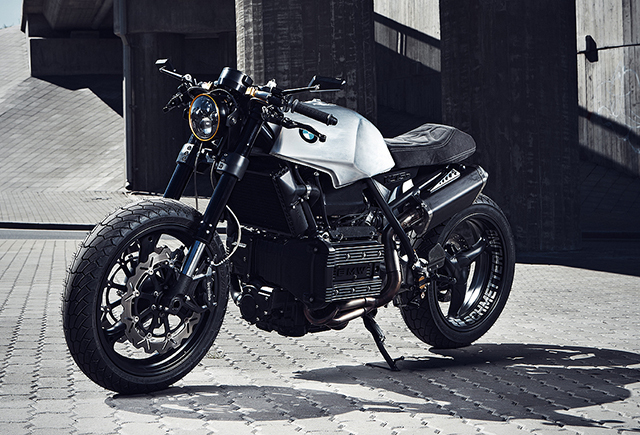 To achieve the sleek lines of the bike, a hefty amount of work and effort has been employed. The rear section has been changed and the rear of the fuel tank lowered to suit. 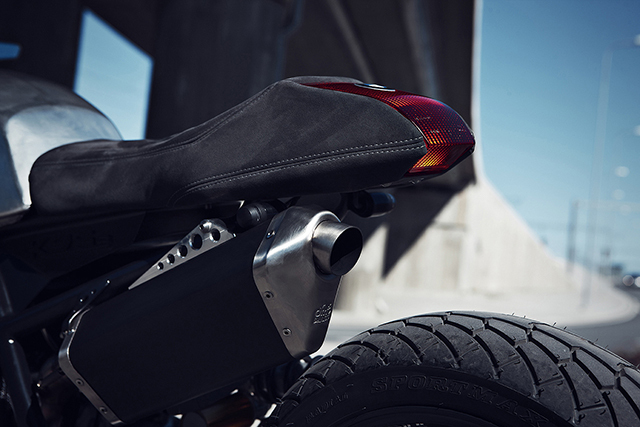 Built from scratch, the Alcantara bound seat assembly features an integrated BMW R1150 tail lamp unit. In an effort to keep the frame clutter free, the electrical harness and componentry is mounted under the seat and the tank. 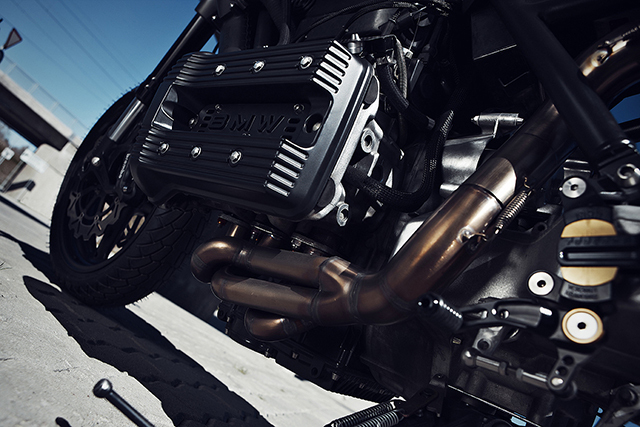 Hugging the modified frame, the 38mm custom exhaust terminates in a Danmotos silencer. 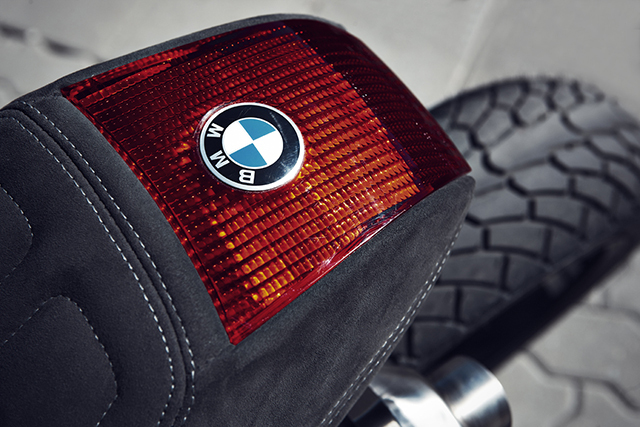 Not a bike to be trailered, just last week the Beemer was out for a 250km run. According to Andres; “I love how it acts, the engine is pretty torquey, centre of gravity is low and the bike is easy to ride”. Looking beyond the initial hesitation as to whether the bike would make a good donor bike, the crew at Renard have produced a curve happy streetfighter. Taking a banged up Beemer this Estonian workshop has done it’s part for the environment by giving this bike a new lease on life. Saving nature, one bike at a time.